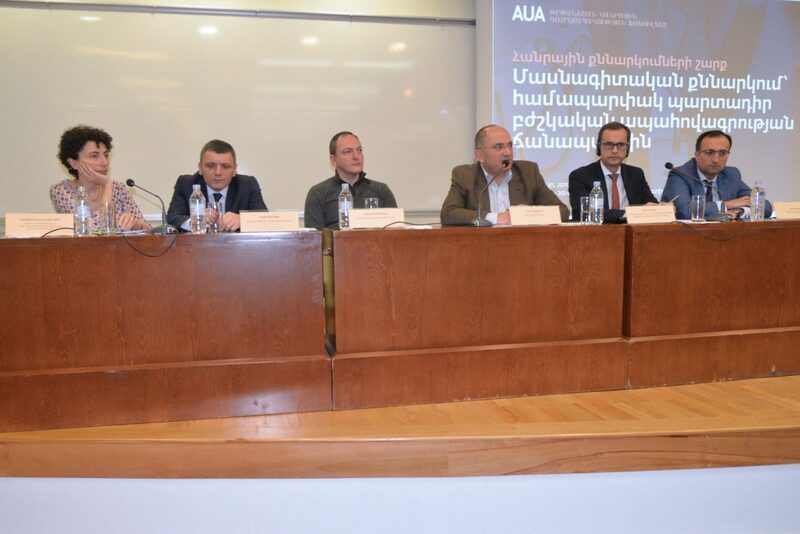 YEREVAN, Armenia – On February 13, 2019, the Turpanjian School of Public Health (SPH) of the American University of Armenia (AUA) organized a panel discussion with experts about how Armenia could implement social health insurance in the coming years. The members of the expert panel included Arsen Torosyan, Minister of Health of the Republic of Armenia; Egor Zaitsev, World Health Organization (WHO) Representative in Armenia; Saro Tsaturyan, World Bank expert; Samvel Kharazyan, Asian Development Bank expert; and Arsen Davtyan, Deputy Minister of Health. 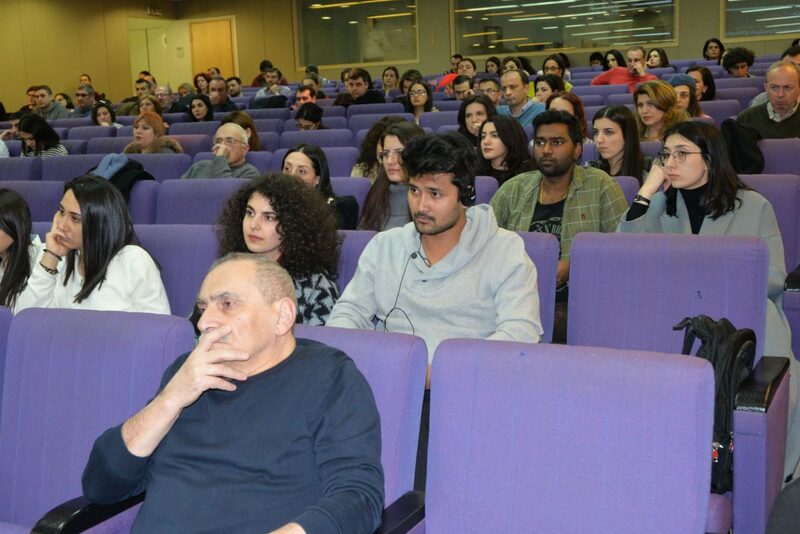 SPH Dean Dr. Varduhi Petrosyan moderated the discussion. 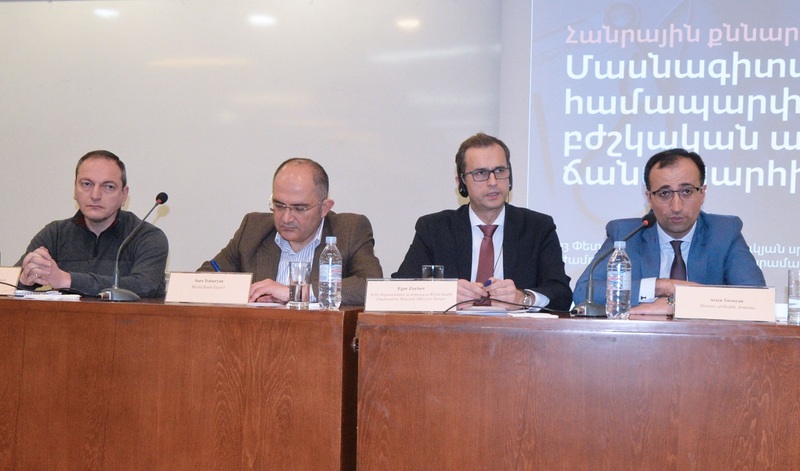 Currently, the share of total health expenditure coming from public sources is extremely low in Armenia (around 15%) – the last place in the WHO European Region. This number suggests the urgent need to allot more public resources for protecting citizens from financial risks associated with obtaining health care services. 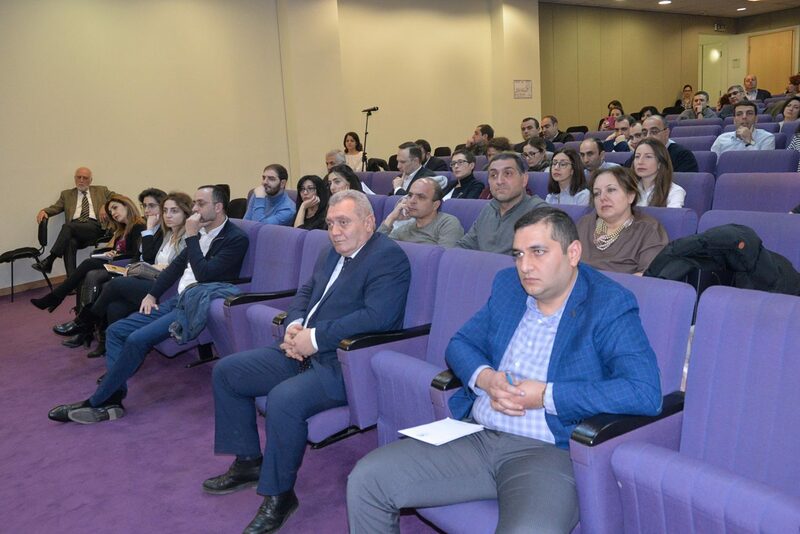 The invited experts shared their opinion on how Armenia could aspire to institute universal health coverage using social health insurance as a tool for reaching this goal. Universal health coverage refers not only to who is covered and what services they would receive, but also to the financial burden on citizens. The experts emphasized the importance of improving the efficiency of the health system given the scarcity of resources and the value of social solidarity. 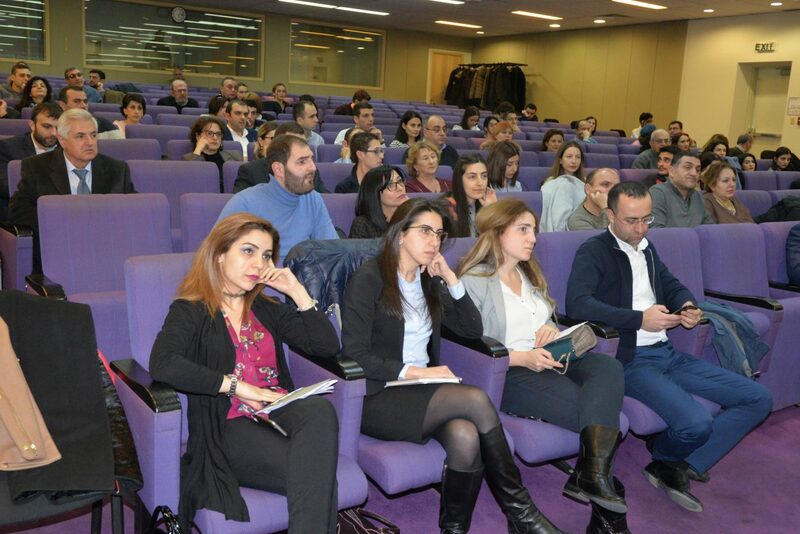 The audience included public health and medical professionals, students, faculty, researchers, representatives of private health insurance companies and the Central Bank of Armenia. The attendees shared their opinions on the topic of discussion and asked questions to the panel members. The discussion was very interesting, sometimes heated, and continued for about two and a half hours. The panel discussion was broadcasted live on the SPH Facebook page. The video of the discussion is available here.